Formation Roofing and Sheet Metal, Inc. was co-founded in 1979 by Chris Underwood, a small business startup, usually found running his business out of the trunk of his car or in his garage. After a few short years, after basically living in poverty, my partner decided that the reward was too small for the hard work we were putting in, decided to seek out much greener pastures than the ones that the cans of bean soup and PPJ’s we were allowing him to venture to. Formation Roofing and Sheet Metal, Inc. grew quickly over the next decade, reaching the high-end estate style, slate and tile work, throughout central Indiana. The company was soon able to purchase their first facility located at 2712 Stanley Ave. The new facility provided an office, a 10,000 square foot sheet metal shop, and over two acres that made up “The Yard”, which is used for storing reclaimed slate, tile and the equipment used for daily operations. 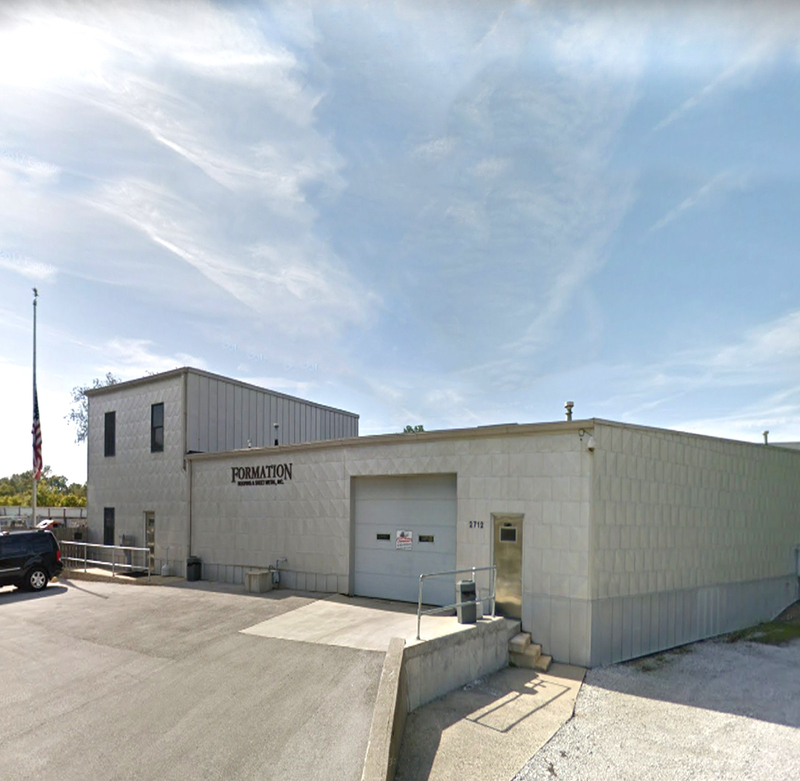 As business continued and growth followed, another facility with over 38,000 square feet and 4 acres was purchased in 2007 as a possible “relocation/rehab” for the future of ongoing operations for the company and to keep Formation not only growing, but thriving. Fast forward 11 years of rehabbing 1502 S. Keystone Ave property. It is now our new home for the primary aspect of standing seam, sheet metal roofing manufacturing and ongoing operations of tile, slate, wood shingle applications, and retail sales! For over 40 years, customer satisfaction has always been and always will be our primary focus. We take great pride in the work we do, and the response of referrals from our satisfied customers has shown that our hard work has paid off so far. We are very fortunate that our good relationships with our customers has resulted in countless referrals, which have led to over 90% of our new business ventures. Although we are a very small company in comparison to many others, we still have the advantage since we are able to maintain a higher standard of quality and safety for our customers and valuable employees. We have a team of experts in all roofing materials such as copper, metal, slate, tile and cedar shake materials, and we make sure to stay up-to-date with the latest design trends. Our mission is to ensure that all of our customers are educated to the best of our ability about the importance of using trained personnel to do the work that they are hired to do. This helps the customer understand that paying a cheap price quite often leads to a cheap roofing job. We will always be up front and honest about pricing, because we want to assure the customer that they are getting what they pay for, which is the highest quality.